Jodi joined the Human-Environment Systems Research Center at Boise State University in 2015. The goal of her research is to better understand how human societies and healthy ecosystems can thrive, on a rapidly changing planet. 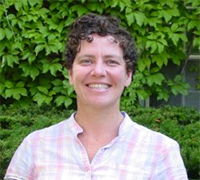 She focuses on quantifying human-environment interactions and whether they create sustainable environmental trajectories. She works with a wide range of people, including economists, ecologists and anthropologists, farmers, hunters and tribal communities.